1. Available Scripts and Software Tools – Internet marketing professionals recommend WordPress as the CMS (Content Management System) to use when setting up membership websites. 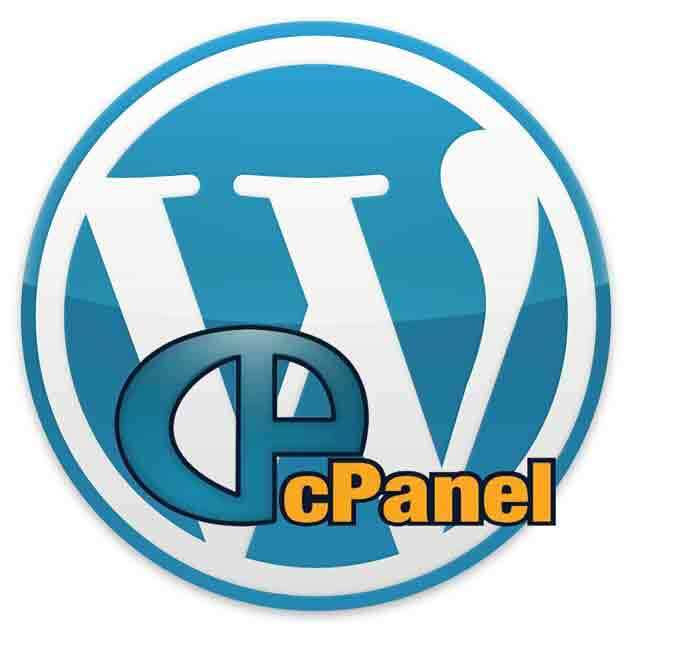 Since it would be quite difficult for someone with minimal Web development experience to manually install WordPress in a Web server, many Internet marketers recommend CPanel hosting plans because the control panel of this Web hosting account has available software tools or scripts that can help you quickly and conveniently install WordPress in any directory of the Web server where your CPanel hosting plan is attached. Fantastico and Softaculous are some widely used scripts that are commonly integrated into the control panel of a CPanel Web hosting account. These scripts have installation wizards that guide a user in the simple steps required to install WordPress in any directory of the Web server. There are also scripts developed with integrated features that can be used to create, organize and manage mailing lists. These mailing list management features are helpful for a webmaster, especially for membership websites. 2. Efficient Web Server Hardware and Bandwidth Resources – Most Web servers used by Web hosting companies for the CPanel Web hosting packages they offer are integrated with powerful hardware resources. These hardware resources include the processing speed and power a customer can get from high end CPUs (Central Processing Units) that are mostly available in Web servers used for CPanel accounts. RAM resources are also important Web server hardware components, because these RAM resources can aid the CPU of the Web server in processing and facilitating data transmissions sent to and from the Web server and the Web browsers or computers of site viewers, administrators and members. This means having a powerful CPU and sufficient RAM resources will speed up and improve the data transmission and data processing performance of a Web server. Also included in a Web server’s hardware resources are the hard drives available in the Web server and for the customer to use with his or her CPanel hosting account. You would need more than enough data storage space for your CPanel Web hosting account, and this is because membership websites require a lot of diverse content, such as written materials, downloadable PDFs or ebooks, videos that are streamed online and also available for download, audio recordings of Webinars among others, SAS (Software As Service) tools and access to user-generated content. Bandwidth resources are also an integral component of a Web server and a CPanel hosting package. Bandwidth refers to the amount of data sent to and from the Web server and the Web browsers or computers of your membership website viewers, members and administrators. Since most owners of membership websites aim to get large quantities of subscribers, they also expect to get huge volumes of prospects who initially start out as viewers before they get enticed to sign up as members of the membership websites to access all subscription only content offered by the membership website. With large numbers of viewers, members and administrators simultaneously requesting and sending data to and from the Web server where these membership websites are hosted, the bandwidth resources allocated to the Web server should be able to accommodate this regular data transmission volume. TIP: Take note if the Web hosting providers of the CPanel account you’re interested in are also offering reasonably priced upgrade options. This is so you can quickly and easily increase the bandwidth resources and data storage space as well as the CPU and RAM resources allocated to your CPanel Web hosting plan when the time comes that you must accommodate the needs and demands of a bigger volume of site viewers, members and administrators. Also ask them the time it will take for these upgrades to be successfully and completely implemented into the Web server of your CPanel hosting account. This is to prevent long downtimes when upgrades are being installed and integrated into your Web server and CPanel Web hosting package. 3. Customer and Technical Support Services – The Web hosting companies in your list of good sources of CPanel Web hosting packages should provide helpful customer and technical support services. The support agents of these Web hosting providers should be IT professionals who can promptly answer your questions and provide more detailed information about your inquiries and clarification requests. They should also be able to politely guide you in the features bundled into their CPanel Web hosting packages, even if you’re a prospect customer. Their technical support agents should also be able to inform you about the programming modules supported by their CPanel hosting accounts, because you might intend to provide your membership website subscribers access to custom SAS (Software As Service) tools. You can determine if these Web hosting companies offer prompt and high quality customer and technical support services by contacting them and observing the level of quality and the response speed of their customer and technical support agents. You should also try out all customer and technical support contact options they offer prospects and existing customers. This means contact them via phone if they provide phone support, then send them emails or help tickets to request for more details about their CPanel hosting accounts in case they also offer email and helpdesk ticketing support, and chat with their support representatives through their live Web chat support platform if they offer this option. Doing these things will allow you to gain first hand experience of the overall quality and responsiveness of their customer and technical support departments for each contact option that they offer. 4. Uptime and Money Back Guarantees – Check if the Web hosting companies bundle beneficial uptime guarantees with their CPanel hosting accounts. An uptime guarantee is where the Web hosting company guarantees that the sites stored in your Web server will always be live and properly working 24 hours per day, 7 days per week, all year round. Reliable Web hosting companies usually offer a 99.9% uptime guarantee. Also check if they offer money back guarantees. This will be beneficial for you as a new customer of their CPanel Web hosting packages, because this means you can test out their services and get your money back when you believe that their CPanel Web hosting accounts and services are not what you need for your membership websites. 5. Price – Compare the prices of the CPanel hosting accounts you’re interested in acquiring from the Web hosting companies in your list. This will help you pinpoint the Web hosting companies that offer the most affordable CPanel hosting accounts that can provide you with the benefits you need. Also check if their subscription payment options can accommodate your preferred payment method, and if they have automatic CPanel hosting account renewals because this will be more convenient for you in the long term. 6. Data Security and Privacy – Check if the Web hosting companies in your list have a reputation of implementing effective data security and privacy protection into their Web servers and data centers. This will ensure that the content of your membership websites, especially the details of your prospect mailing list subscribers and membership website subscribers will always remain secure and confidential. Carefully studying the things mentioned above will help you pinpoint the best CPanel hosting account for your membership websites. You can contact existing customers of the Web hosting companies in your list, particularly customers who have subscribed for their CPanel hosting accounts, so you can learn about their experience in using the Web hosting companies and their CPanel Web hosting packages.